SPIDERMAN, SPIDERMAN. 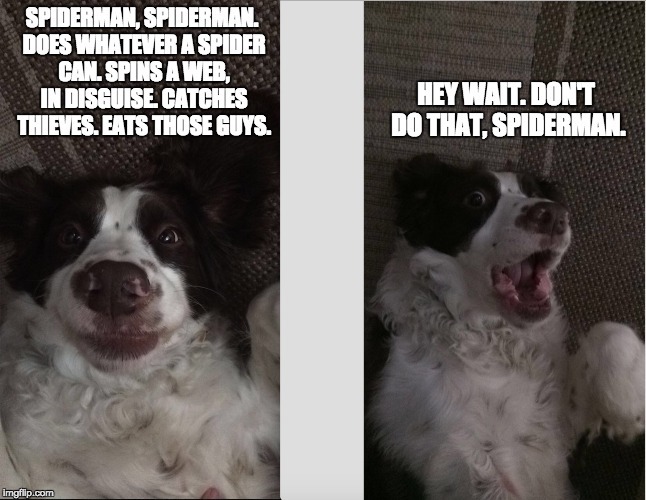 DOES WHATEVER A SPIDER CAN. SPINS A WEB, IN DISGUISE. CATCHES THIEVES. EATS THOSE GUYS. HEY WAIT. DON'T DO THAT, SPIDERMAN.